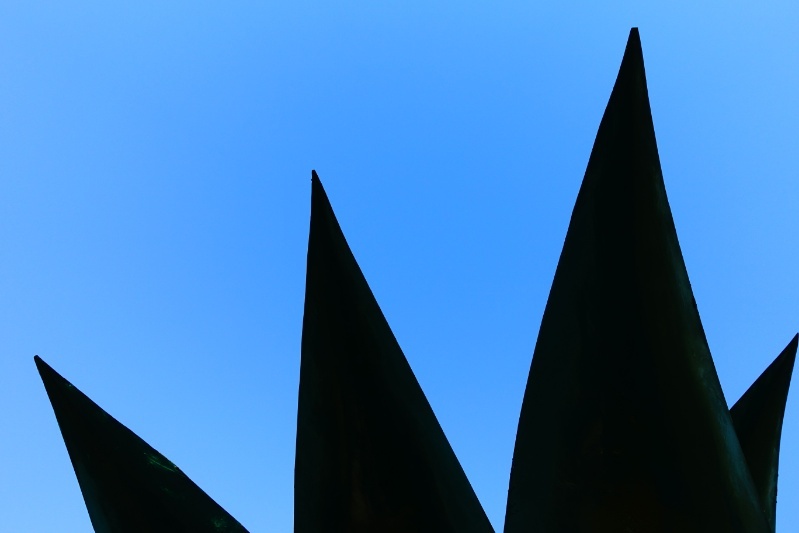 What’s big, spiky, and welcomes thousands of visitors a year? 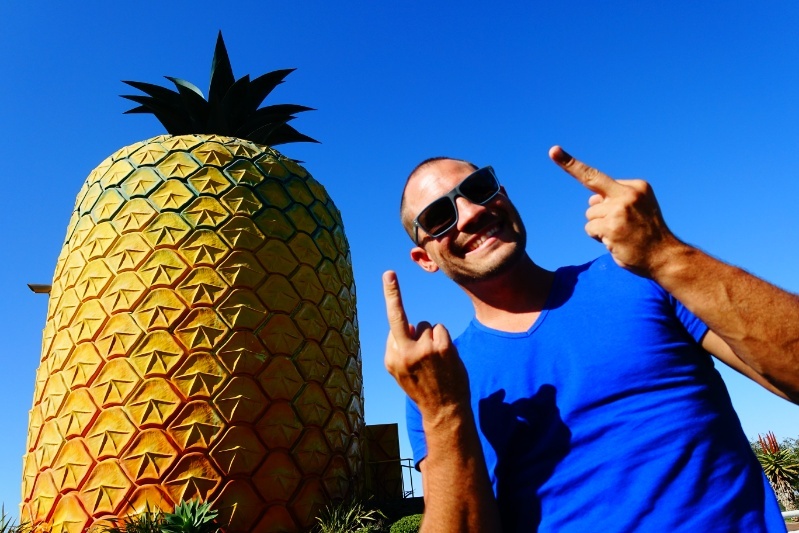 No, not your mum’s bush, I’m talking about the Big Pineapple. I mean the one in Bathurst, South Africa, because it’s the biggest Big Pineapple on the planet. 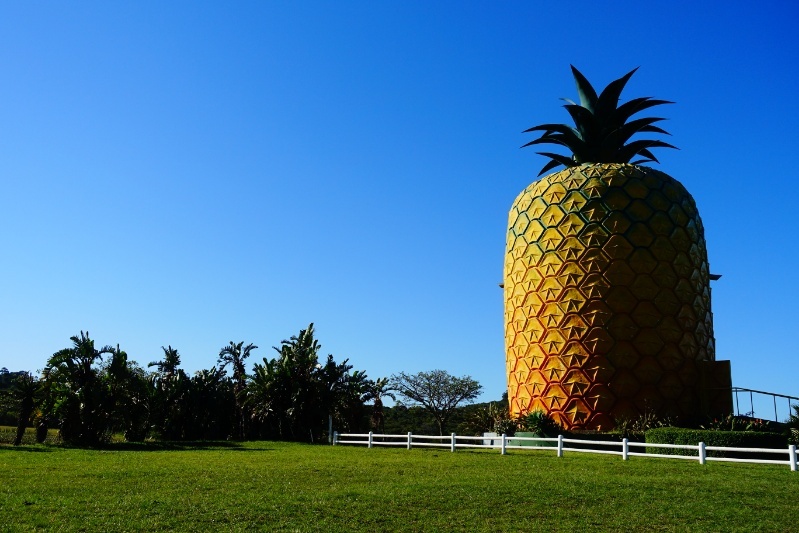 Yes, bigger than Queensland’s much-loved Big Pineapple, and that’s hard to admit as an Aussie, because we like to think we have the biggest Big Things around. 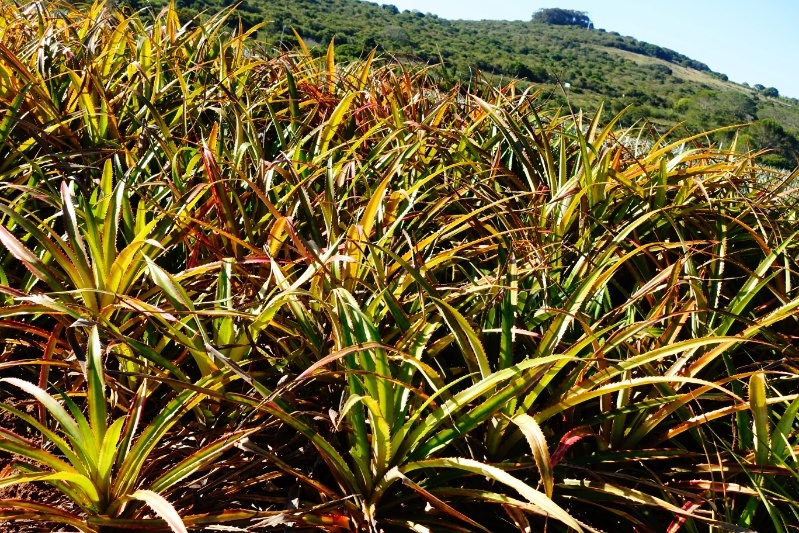 The Pineapple is 16.7 metres from top to tail, making it 70 centimetres taller than the Aussie version. It’s set in a peaceful farm overlooking the ocean, on the outskirts of Bathurst, which is a delightfully traditional English village. It’s a great part of the world and worth visiting simply for how nice the town is. But Bathurst isn’t about the local pubs, it’s about the giant fruit that dominates the skyline. 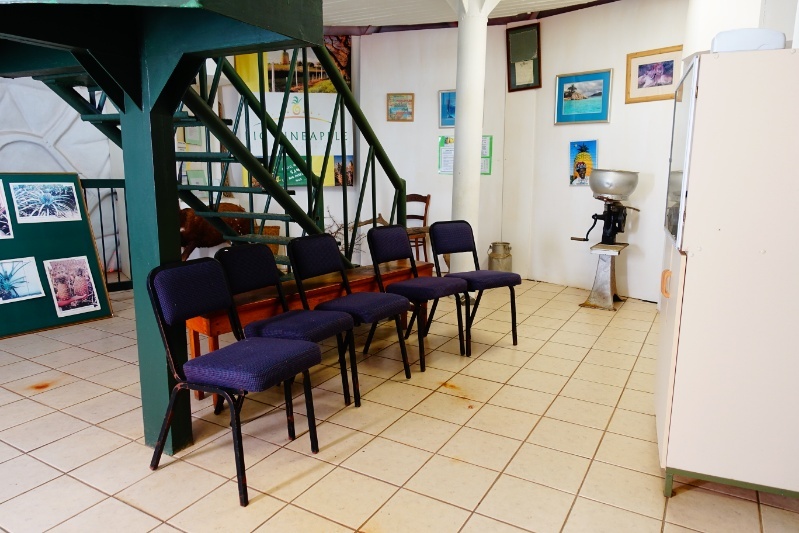 The Pineapple is home to a museum dedicated to pizza’s biggest enemy, and whilst it wasn’t particularly interesting, half the appeal of ‘big things’ is the shithouse educational displays they all house. This place ticked all the boxes, and the view from the top was brilliant. 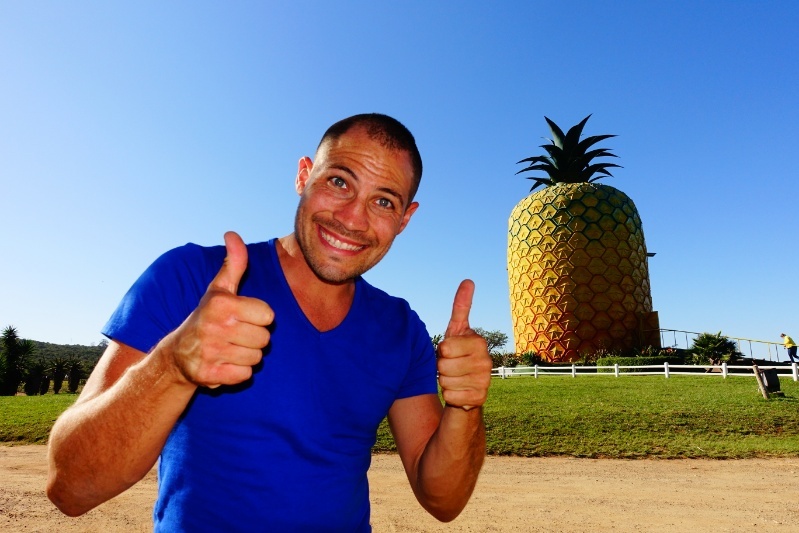 I’m going to go all out and put the Big Pineapple into my list of Top Five Big Things Ever, along with Ploddy the Dinosaur, the Big Prawn, the Big Banana and Kew’s Big Axe. Righto, I’m off to have a beer – bye!